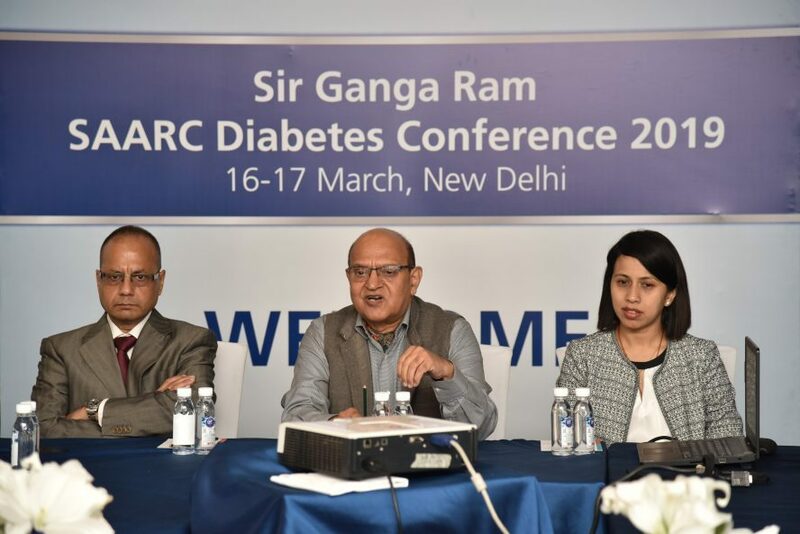 A team of leading endocrinologists from SAARC countries inaugurated the annual ‘SAARC Diabetes Conference’ in Delhi. The theme of this year’s conference is ‘Sharirmadyam Khalu Dharmasadhanam’ which lays importance on an individual’s responsibility to keep his body healthy. Good health is key to wellness and contributes to the overall performance of an individual. The two-day annual conference organised under the aegis of Department of Endocrinology and Metabolism at Sir Ganga Ram Hospital aims to bring leading medical experts from SAARC countries together to exchange best practices, update on latest products and other technical advancements that can aid in improving the overall management of diabetes. Inaugrated by Prof (Col) Surender Kumar, President of SAARC Diabetes Association, the conference was attended by all leading endocrinologists across the country including Dr V Mohan, Dr Nikhil Tandon and Dr Ambrish Mittal amongst other dignitaries. It was also attended by like-minded stakeholders and practitioners from SAARC countries who highlighted the progress made over the past year towards tackling diabetes in their respective regions as a result of focussed awareness programmes undertaken. “SAARC countries are among the highest populations of people with diabetes. This conference enables us to exchange key notes, progress and developments on improving the way diabetes is managed currently. In India specifically, ‘IMPACT India the 1000-Day Challenge’ provides a clear goal and direction for improving diabetes care by reducing HbA1c by 1 per cent over a three year period. This is the primary programme that can serve as a guide for other countries to learn from”, said Prof (Col) Kumar. As per the 8th edition of IDF Diabetes Atlas, the incidence of diabetes in South East Asian countries was found to be over 82 million in 2017 which is expected to grow upto 151 million by the end of 2045. This clearly indicated that worldwide, there is a steady increase in the diabetes population owing to ignorance and sedentary lifestyle. Especially in the Indian sub-continent, the high incidence rate of diabetes, has led to a significant health burden. This teamed with lack of awareness and undiagnosed diabetes has paved way for the rise of various heart, kidney, eye and limb diseases. “In India alone, 1 in 12 adults suffer from diabetes and over 11.2 lakh succumb to its complications. To combat this growing burden, the need of the hour is to burst myths and improve awareness on the need to manage diabetes better by adopting a healthy lifestyle and being aware”, adds Dr Sudhir Tripathi, Senior Consultant, Department of Endocrinology and Metabolism, Sir Ganga Ram Hospital.